I’m giving a presentation at an academic literary conference in San Antonio this weekend so I’m taking a much-needed break from writing about the Oklahoma political scene today. My presentation, “Fuku or Zafa? Teaching the Raw Language of Junot Diaz’s The Brief Wondrous Life of Oscar Wao,” tries to deal with the issue of teaching literary texts that contain racially-charged language. What are the best practices? How have they changed through the years? How does Oscar Wao, in particular, open up opportunities for understanding the use of such language in and on the borders of the Latino community? Diaz’s novel won the Pulitzer Prize for Fiction in 2008. 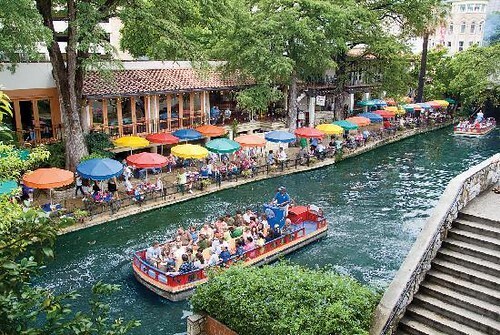 The Latina/o Literary Landscape conference, a part of the American Literature Association, is meeting for three days in downtown San Antonio, and I’m looking forward to immersing myself in literature I love to teach and write about while exchanging ideas and catching up with other professors, literary critics and writers. « But Why Does Oklahoma Rank High In Mental Illness?